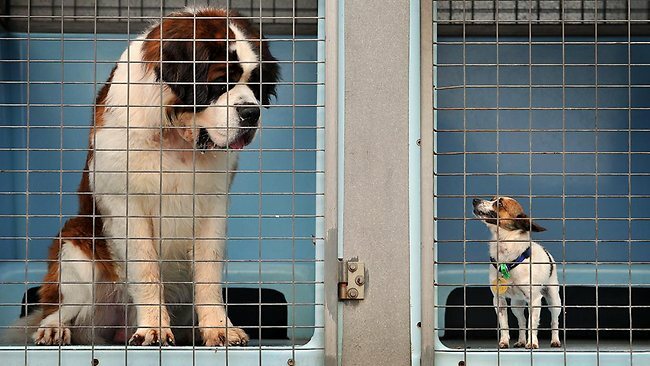 When the Victorian Government announced that the Code of Practice for the Management of Dogs and Cats in Shelters and Pounds was being reviewed, staff at The Lost Dogs’ Home knew it would mean some big changes for our shelters. Now, six months later, we can’t believe how much we’ve been able to achieve thanks to the new industry standards. General Manager of Operations, Sue Conroy, estimates that an additional seven dogs per week have gone on to find new homes in the time since the new Code was enforced. That’s around 180 dogs that have been given a second chance as a result of these amendments. The Home is always looking for ways to improve our adoption rates and the removal of the ‘28 day rule’ from the Code of Practice – which stipulated that all dogs and cats not adopted within that timeframe must be euthanised – has made the biggest impact on these figures. Programs like the Foster Care Program, which enables sick, underweight, injured or very young animals to relax and recuperate away from the busy shelter environment. The expansion of this program has not only seen an increase in the number of healthy animals available for adoption but has also freed up some much-needed space in the crowded shelter. “In turn, additional space and resources means we can perform more life-saving surgery on stray cats and dogs that really need it,” Sue said. Our Behaviour Rehabilitation Program has also expanded under the new Code, giving hundreds of dogs the chance to learn behaviours previously denied to them. Dumped and unclaimed dogs often arrive at our gates with terrible manners or a crippling fear of people, new situation or other animals. Generally this is because their original owners didn’t bother to train or socialise them, leaving the dogs with a reduced chance of getting adopted – that is, until our expert team steps in! One of our latest graduates from the Behaviour Rehabilitation Program is Lex, a four-year-old Lab mix who arrived at the Home on December 5, frightened of his own shadow. He was nervous around other dogs, people and traffic, and became visibly anxious whenever someone tried to touch his head. However using gentle training techniques, our team have given Lex the gift of confidence and he is now a much more relaxed and happy dog.